Woodland Nights, a strong and earthy, 2 in 1 Shampoo and Body Wash is sulfate free, paraben free and pH balanced. Pro Vitamin B complex, honey and silk protein in our 2 in 1 will preserve recent hair color, reduce tangles, and give a smooth and shinier shampoo. Aloe, honey, and pro-vitamin B complex also moisturize your skin. Calla Lily Cosmetics uses Sodium Cocoyl Isethionate instead of Sulfates which is an extremely gentle surfactant based on coconut fatty acids. 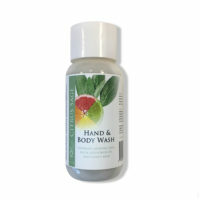 Mild enough for baby cleansers, personal hygiene, and toiletries, while still offering effective cleansing properties. 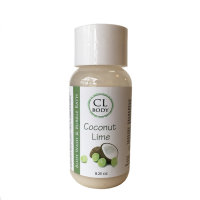 Sodium Cocoyl Isethionate is not drying to the hair or skin making it an excellent choice for shampoo and body wash combination. 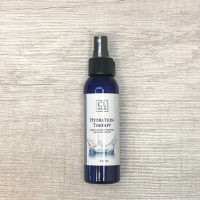 This earthy scent has top notes of cedarwood and patchouli, middle notes of nutmeg and citrus, and a bottom note of ylang ylang It provides high performance in soft or hard water. This is a low suds product. Aloe Vera is well known for its effects on the skin. It soothes sunburns but also reduces inflammation. These properties contribute to Aloe’s ability to aid the skin in the healing process when people suffer from conditions like acne, eczema, and psoriasis. It follows that Aloe helps with flaky scalp condition as well. Aloe and its proteins also act the same way on hair, preventing moisture loss and helping it remain hydrated. 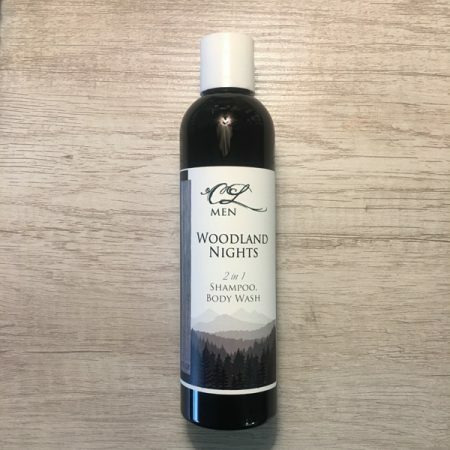 This product is part of the Woodland Nights collection including our body spray, activated charcoal body wash, soy massage candles, not only will the aroma capture your senses the melted soy wax provides an excellent massage oil for your skin.